Oh Lucas how I loved you. I think there is just something about these Prestons that draws me in. Oh, this story. You need to read it. It is amazing. Through all the highs and lows, the ups and downs, the intense situations, the laughs, the times you have to be patient and just wait for things to work themselves out, it was all wonderful. I love love loved Lucas and Laney. These two...one of my new favorite couples. Lucas and Laney first meet when they are eleven years old. Right from that first moment that was it for them. Laney remembers that day, that moment when she first sees him. And so does Lucas. He is a runner, and athlete, and in part because of Laney and his need to impress her. I loved these two. They grew up together, were so close, yet neither realized the other was in love with them. They both thought maybe if they have just a little more time they can get the other to feel about them the way they feel about the other. It was awesome! Yes, Lucas is not always the best, he does some not so good things, makes some bad choices, but he is not really a bad guy. He is just young and not always on top of things. I really liked him because of his flaws. Because he wasn't perfect. Because just because he loves Laney that doesn't mean he is always perfect. Oh, some of the stuff that happens in this book just gutted me. There is a moment near the beginning where I just wanted to cry for them. Things happen. People make mistakes and you can't always come back from them right away. These two man. You know they will eventually get there, they will eventually find their way, they have to, but getting there? Oh getting there was hard at times. I particularly loved how this story is told with some chapters in the present and some in the past. Some showing these kids growing up together and what they thought/felt at different times. How they both looked at things a bit differently. It was wonderful. It made me think of myself at that age. That awkwardness of liking someone and wanting them to like you back but afraid to say anything in case they didn't feel the same. I am glad I am not there anymore, but it is fun to reminisce. Laney was lovely. I felt so much for her. She is always trying to be good enough and trying to not let other peoples actions affect her, trying not to care when people disappoint her, but she does. How could you not? She gets into some situations that I think the author handled wonderfully. It really showed how someone could end up like she did. Plus, through the story you are trying to figure out exactly what did or didn't happen. 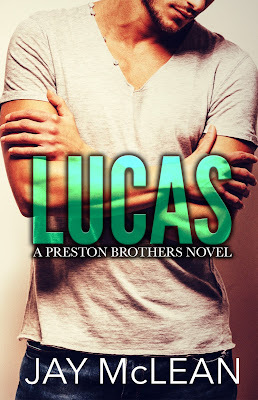 Laney counts on Lucas for a lot, but he is not always perfect. He doesn't always remember things that are important and I loved that. Just because you care about someone doesn't make you into someone else. Doesn't make you unable to hurt them accidentally. He has some growing up to do, like a lot of young people, and I am glad I got to see it happen. I am glad I got to watch him grow and become that person that Laney deserves. Oh this book. It really did make me feel all the feels. With everything that happens with Laney, all the worries for what will happen, oh it was rough. But I had hopes it would all work itself out and the story wouldn't completely destroy me. Wonderful. Amazing. I loved this book. 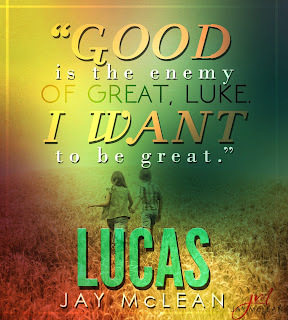 I loved Lucas and Laney. I loved them trying to figure out how to be the people they need to be. I loved watching them grow and come together. 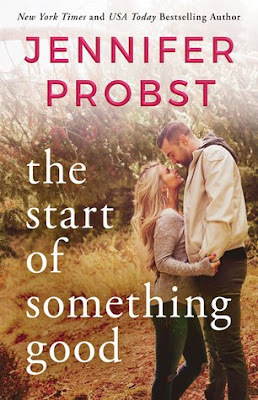 I just loved this story. Go. Read it now. You won't regret it.